When O’Prey, who worked as a historian on the documentary film “Brewmore: Baltimore” and currently works in state government as a writer and researcher, decided to take on the challenge. 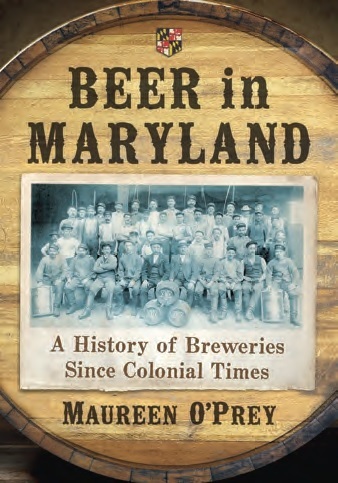 Building on her first book, Brewing in Baltimore (Arcadia Publishing, 2011), O’Prey pulls together more than a decade of feet-on-the-street research to offer a comprehensive picture of brewing in Maryland from colonial times through today’s fast-growing beer scene. From the region’s first beer-makers (who were the wives of tavern owners in the 17th century) to families opening competing breweries in the late 19th century to beer during Prohibition, O’Prey deftly turns decades of research into an engaging and comprehensive narrative of beer’s always-integral role in Maryland’s economy.